"Almost every list of must-read investment books . 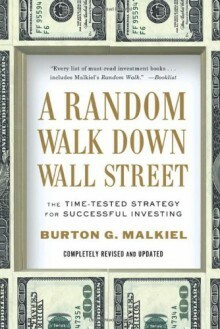 . . includes Malkiel's Random Walk." —BooklistEspecially in the wake of the financial meltdown, readers will hunger for Burton G. Malkiel’s reassuring, authoritative, gimmick-free, and perennially best-selling guide to investing. With 1.5 million copies sold, A Random Walk Down Wall Street has long been established as the first book to purchase when starting a portfolio. In addition to covering the full range of investment opportunities, the book features new material on the Great Recession and the global credit crisis as well as an increased focus on the long-term potential of emerging markets. With a new supplement that tackles the increasingly complex world of derivatives, along with the book’s classic life-cycle guide to investing, A Random Walk Down Wall Street remains the best investment guide money can buy.